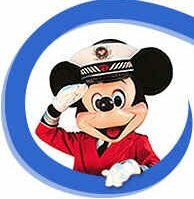 If you do have kids, and I know your children are perfect angels, then a Disney cruise is one option that might be tough to pass up. Their cruises generally allow kids to be kids while also giving adults some time off to have their own fun. They might be a little cheesy and campy, but a little cheese and a little camp is sometimes just what the doctor ordered. If you book yourself on select Disney cruises this very moment, you can receive up to $100 in onboard credit. Think of all the little stuffed rodents you can purchase with that money! Actually, considering the prices on those things you might be able to get a keychain or something, but it is the memories of your family cruise vacation that are really priceless.